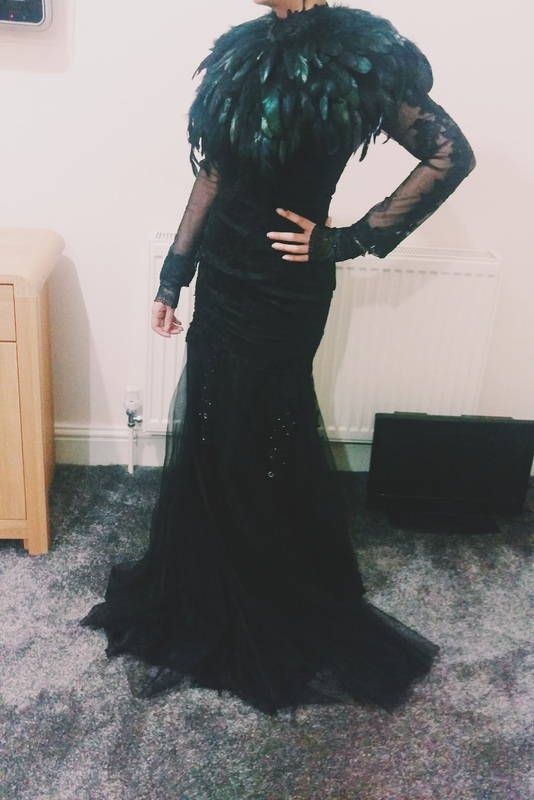 Last week I attended a wedding on Halloween. As exciting as it sounds it wasn’t actually a Halloween themed wedding but since I jump at any opportunity to dress up I couldn’t wait to get creative with an outfit for my cousin’s big day. 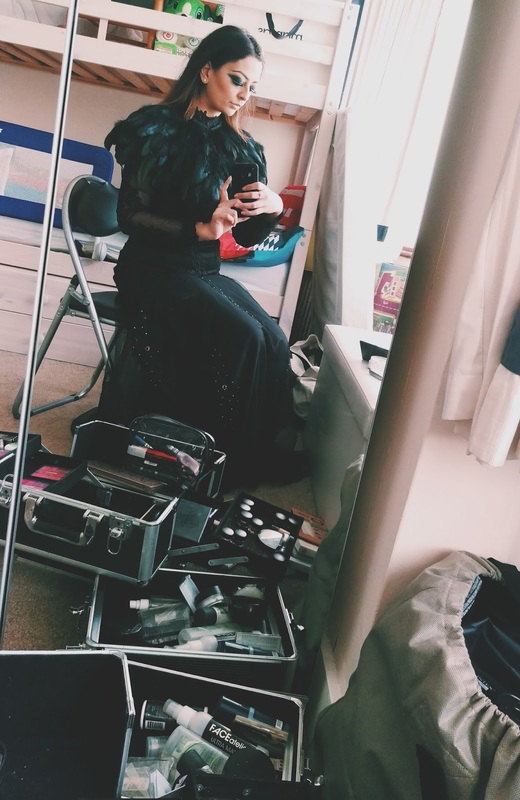 To be fair, before the date had even been set for the wedding, I had had my heart set on wearing something along the lines of the Gothic Romance theme. I made pinterest boards and created polyvore sets to figure out just how I was going to do this. Indian weddings are renown for just how colourful they are, so there was also the worry that I wouldn’t be able to pull it off. Yep, it was going to be tricky incorporating the two but I was up for the challenge. 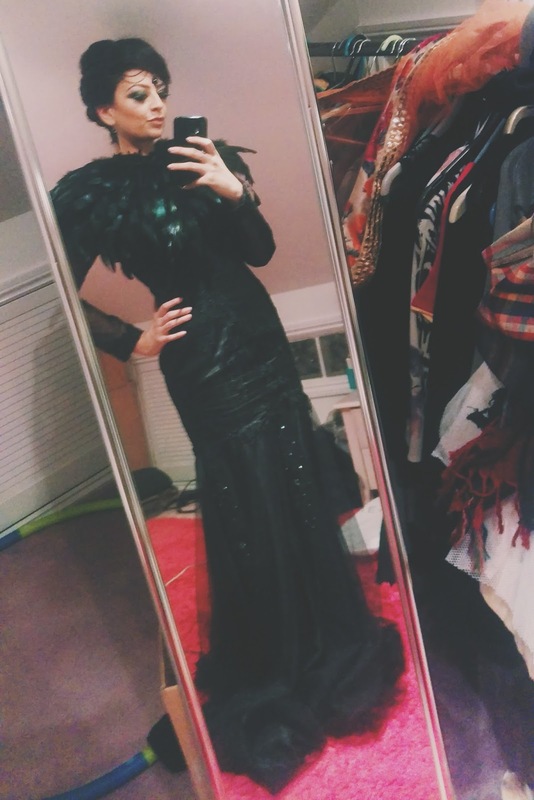 I had seen the feather cape in Topshop and knew straight away that I had to have it. 7 months later I still hadn’t decided on a dress to go with it. My original thought was to wear it with a saree. It could either look super edgy or be a ridiculous fail and to be honest I didn’t want to take that risk. In the end I decided to take an even bigger risk and order a gown from China. I had never taken measurements before so I did my best and waited patiently for it to arrive. It came exactly when it was supposed to and I was stunned at how well it had been made. The seams were beautiful, the appliques were just perfect and the ribbing in the dress was exactly as it was supposed to be. I could not be more excited to wear it and when I did finally put it on there was one small problem – it didn’t fit. More specifically I couldn’t get the zip to go all the way up. After some tears, a small tantrum and unsuccessfully looking for someone else to blame, I realised with only 8 days to go I had to do something quickly. I needed just a couple of inches of space near the top of my back and since there was no spare material to let the dress out a little, that wasn’t an option. Having worn a corset before, I thought perhaps this might be the solution I needed. After a quick twitter search for skilled seamstresses I came across House of Bilimoria. I had never heard of them before and was super anxious at whether but at this point I had nothing to lose. I emailed Shilpa and went to bed hoping that I’d get a response. To my surprise Shilpa responded straight away and gave me her details which presented dilemma number two. I work full time and in order to get measured for my alteration I would need to make a trip to the other side of London. It was virtually impossible. As my hopes sunk, Shilpa gave me the option of doing the alteration remotely. All I had to do was take photos of the dress on, explain what I wanted, pop it in the post and she would work out the rest. Slightly apprehensive I sent it out the next day and hoped for the best. With only 7 days to go until the big day, stressed was not the word for what I was feeling! The dress came back to me a few days later and you guyssss it was wonderful! The corset really finished the dress off and just added to the look I was going for. I would recommend Shilpa at House of Bilimoria to anyone and everyone. To think that I hadn’t even spoken to her on the phone or met her and she was able to alter my dress perfectly in such a short space of time, I was ecstatic and I will forever be grateful. I ordered black rhinestones with a green and purple tinge to match the cape and glued them down on the morning of the wedding to give the dress a little sparkle. Finishing the entire outfit off with lace handcuffs from Lejaby, courtesy of Rigby & Peller. What are your thoughts on my outfit?